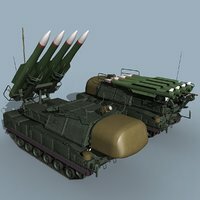 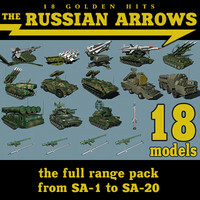 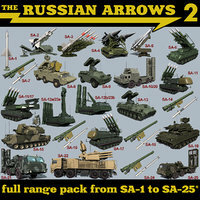 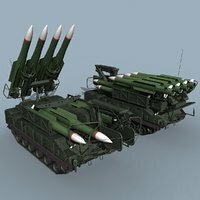 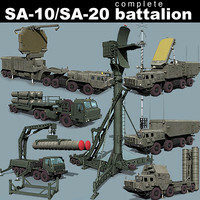 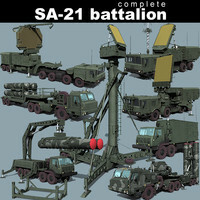 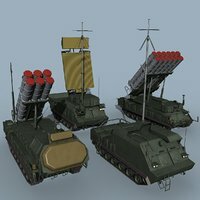 This collection represent the scene of reloading Russian SA-11/17 SAM system. 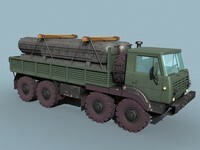 The scene consist of three models, ready to be animated. 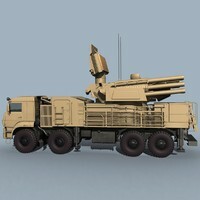 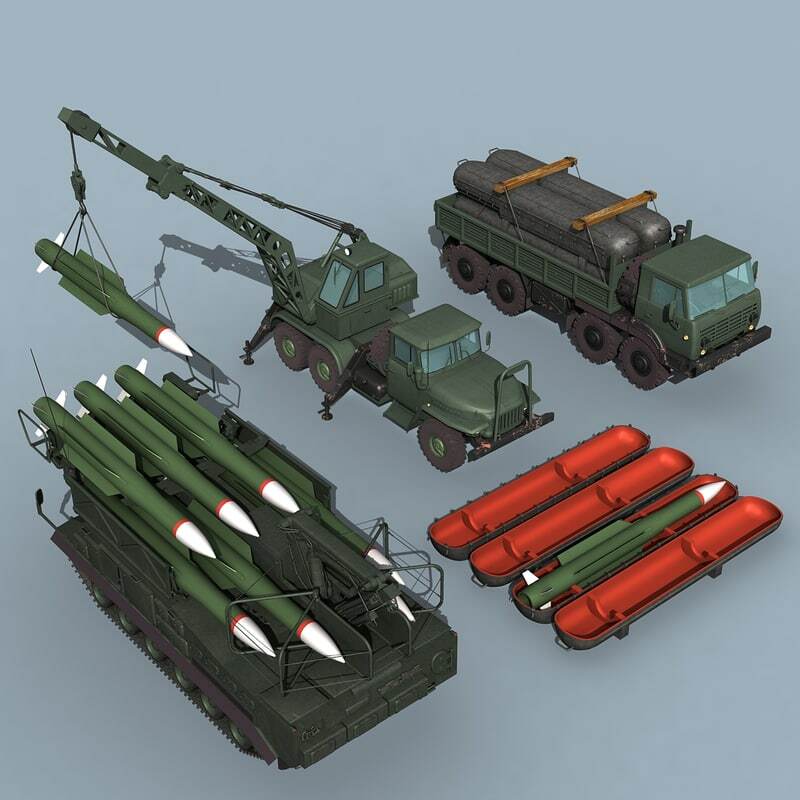 They are: SA-11/17 TELAR ($140 for individual product), a mobile crane based on Ural-375 military truck ($100 for individual product) and SA-11/17 missile transporter, based on Ural-5323 cargo truck ($160 for individual product). 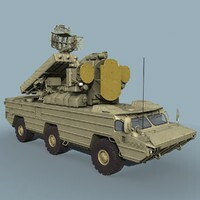 The SA-11 'Gadfly' look similar to SA-17 'Grizzly'. 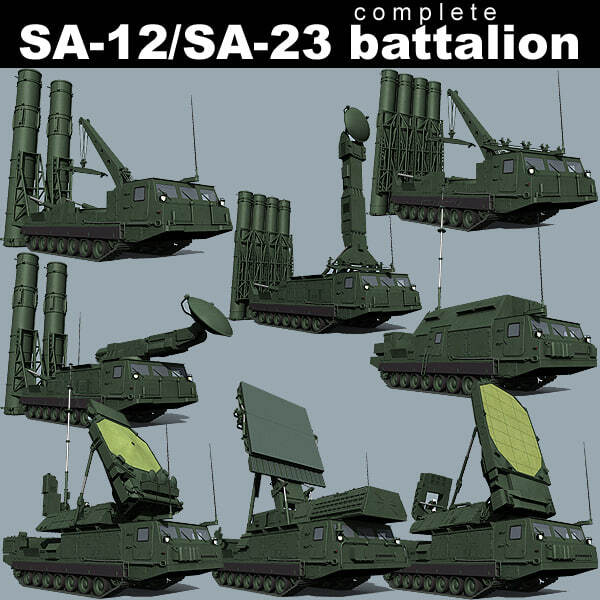 The last is modernised version of SA-11 actually, with new type of a radar system and improved missile. 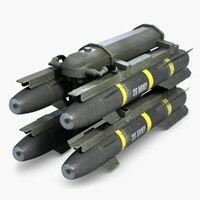 But all these differences cant be viewed by the eye. 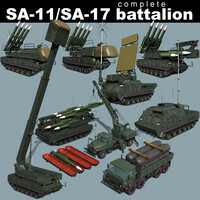 So you can use this scene for both, SA-11 or SA-17. 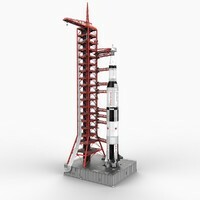 The scene is real-world scaled, all objects and materials have correspondent names.